Marilyn Ruth Melton, age 76, of Clarksville, passed away Thursday, November 29, 2018, at St. Thomas West Hospital. Marilyn was born August 10, 1942, in Detroit, MI, to the late James Daniel Nale and Katherine Lush Nale. She was also preceded in death by her husband, Jimmie Melton; and one sister, Virginia Lee Hill. Marilyn enjoyed family vacations and walking her dog. She also liked sewing, cooking, baking, and reading. 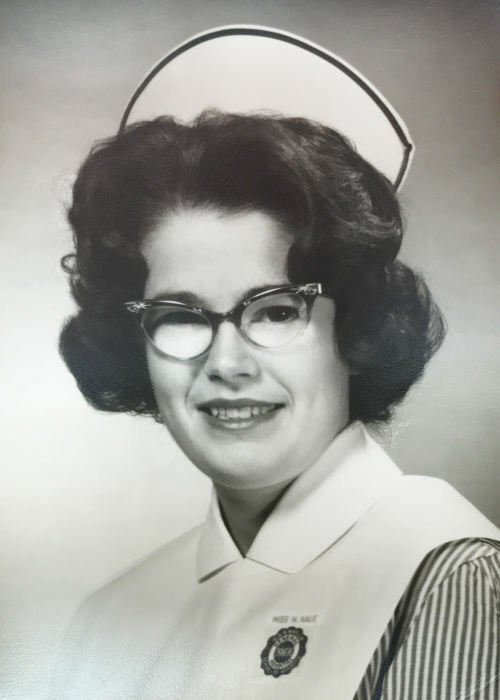 Mrs. Melton was a registered nurse for over 30 years at Fort Campbell hospitals, and she was a pediatric specialist. A Celebration of Life Service will be held Monday, December 3, at 11:00 AM, at the Chapel of Neal-Tarpley-Parchman Funeral Home. Burial will follow at Resthaven Memorial Gardens. Visitation will be Sunday, December 2, from 3:00 to 5:00 PM, and Monday, December 3, from 10:00 AM until the hour of service, at the funeral home. Marilyn is survived by her daughter, Kathy Melton of Clarksville; two sisters, Barbara (John) Heard of Kirksville, MO and Margaret (Jay) Clutter of Sardinia, OH; her brothers-in-law; sisters-in-law; and several nieces and nephews. In lieu of flowers, memorial contributions may be made to the American Lung Association, 1 Vantage Way, Suite C-120, Nashville, TN 37228.